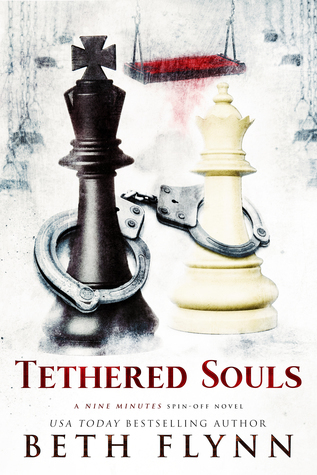 TETHERED SOULS: By Beth Flynn is the second 'spin off novel' from the Nine Minutes trilogy and can be read as a complete standalone. 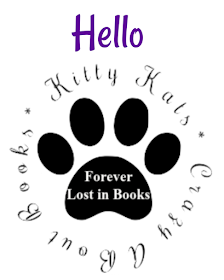 A coming of age novel for the grown parents with dark pasts. "I will always wear my ring and be your bestest friend ever. And I will be your wife and live with you when we get older, and we get jobs and you make us a house. And if we go to the doctor and he puts a baby in my belly, I will be the mummy and you will be the daddy when the baby comes out." Mimi's parents harboured a huge dark secret that if it ever got out could destroy their family to smithereens which was why she told everyone she was from Montana. outbreak of meningitis and everyone was being turned away at the gates. Just as she was on the verge of texting her mother about the change of plans her eyes locked on a boy whom she recognised as Christina Bear who she hadn't seen or heard from in five years. After speaking to him he mentions that his family is vacationing in the area and that they would love to catch up with her if she has the time. But not all is what it seems. "It was no secret that Mimi's biological father, Grizz, had her mother abducted back in 1975. It was no secret that Christian's father, Anthony, had taken his mother Christy. He'd grown tired of waiting. It was now time for Christian to take what he wanted. And he'd always wanted Mimi." He's after answers. And nothing and no one was going to get into his way. These two child hood friends were closer than even siblings, they loved each other before they even knew the true meaning of the word, they had played weddings almost twenty years ago, but they were ripped apart when things in their pasts had to stay hidden. A promise to keep in contact. But even then something would keep them apart. This was quite simply a beautiful, soul crushing, unique story which had me in it's grip as soon as I started, I loved the unorthodox way Christian Bear re-claimed his childhood friend Mimi, the feels just came rushing at me out of nowhere. The love these two shared was undeniable, it oozed off the pages and shot straight to my heart. How the author incorporated the past and present was breathtaking, it allowed us readers to connect with these two characters on a broader level. "I felt you in my soul before I knew how to even form words, Mimi. You'e always lived there, warming my cold places, bringing light to my dark spaces." This authors penmanship is outstanding, she just has such a unique way to her storytelling that speaks to all us readers. I immersed myself in this book and if we'd been taken over by aliens I would've been none the wiser, my head and heart was fully focused on this book, the outside world ceased to exist. "I never knew how lost I'd been until you found me, Christian. My world wasn't one of darkness or light, but somewhere in between. Dull and without colour. You've brought me into the sunshine and made everything bright." I can honestly say that this probably became one of my favourites by this author, reading at a snails pace and the three days it took to read this but wishing at the end of it that it was even longer because you didn't want to say goodbye to these characters..Yep that was me.. I loved the sh#t out of this book. All the twists and turns, catching up with past characters and then falling more in love with them made me love this book even more. 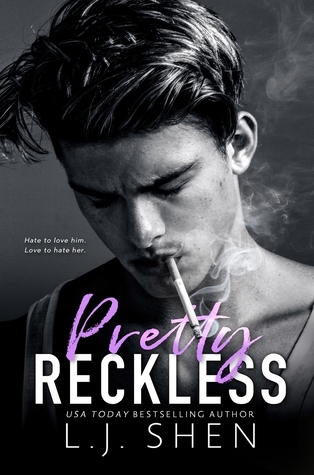 The feels were of epic proportions, from their reconnection, to everything after I lapped up everything this author threw at me, I swooned like no other, I giggled like there was no one else in the room, I loved like I'd never loved before. Beth Flynn is a fiction writer who lives and works in Sapphire, North Carolina, deep within the southern Blue Ridge Mountains. Raised in Fort Lauderdale, Florida, Beth and her husband, Jim, have spent the last 20 years in Sapphire, where they own a construction company. They have been married 34 years and have two daughters and a temperamental pit bull named Lady. Beth enjoys writing, reading, gardening, church and motorcycles, especially taking rides on the back of her husband’s Harley. She is a seven-year breast cancer survivor.